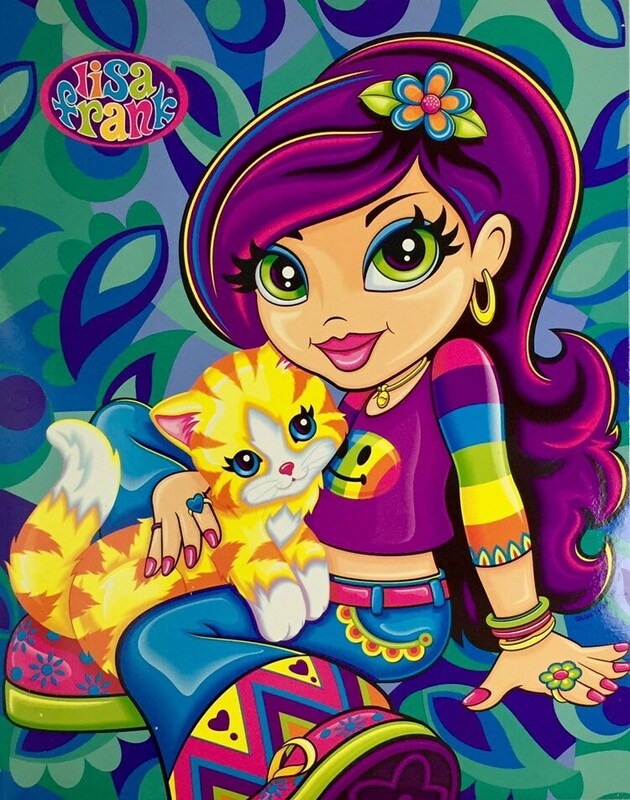 Lisa Frank’s Fantastic World. 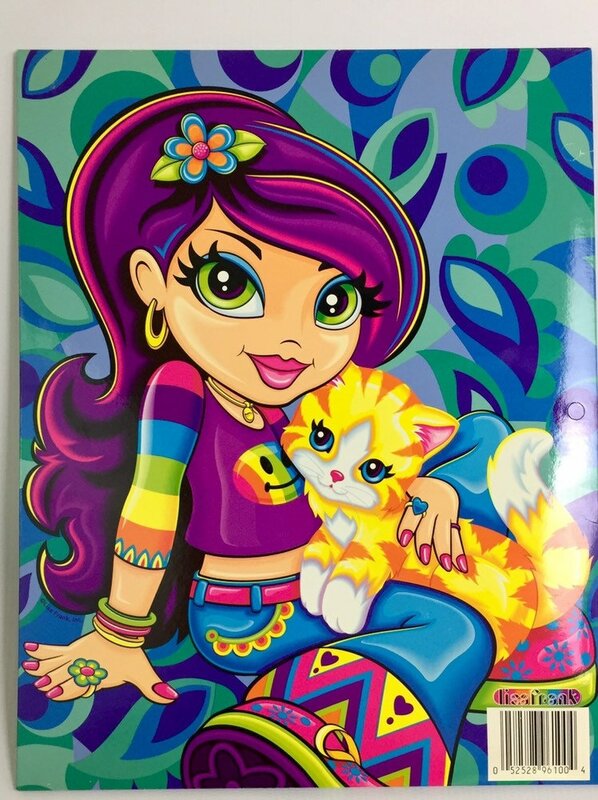 Two (2) Pocket Portfolio Folder. 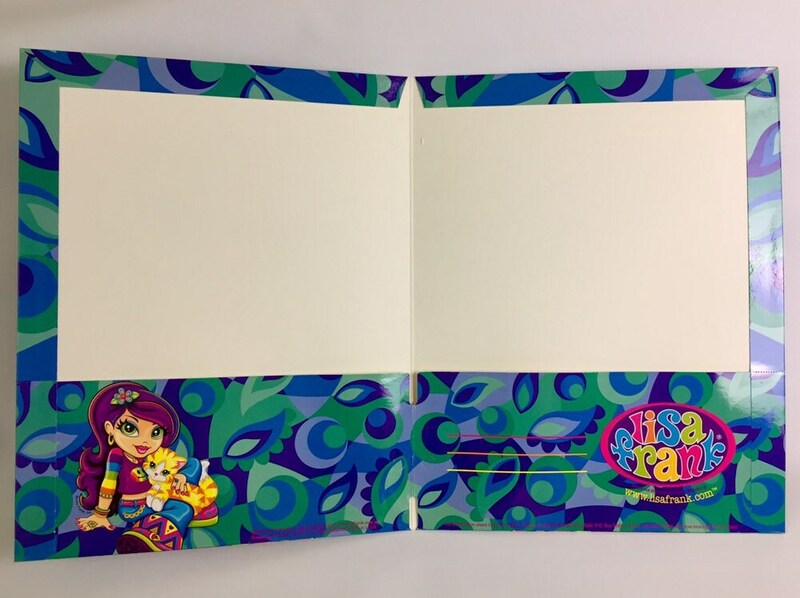 Perfect for 3 a Ring Binder or Traperkeeper. 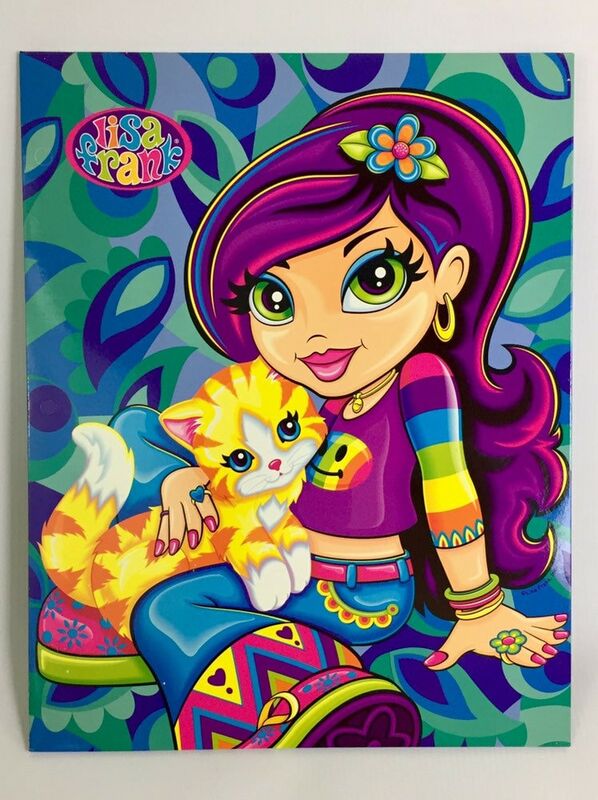 Depicts the groovy rainbow candy girl holding a kitten.